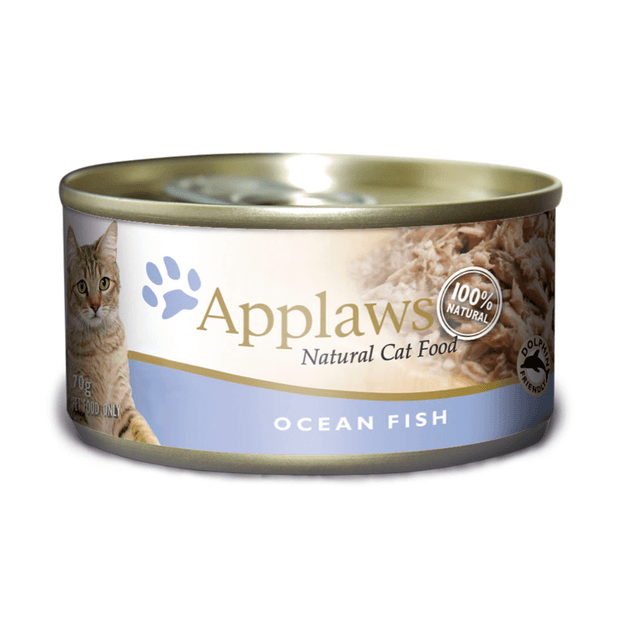 Applaws Ocean Fish Tinned food is a nutritious and nautral meal for your cat, containing only four ingredients. This wet food contains delicious mackerel and tuna in a rich fishy broth with rice. This food is a natural source of taurine, and is made with a high meat content. Suitable for adult cats as a complementary treat food only. This food is not registered as a complete balanced diet. Not recommended as a sole diet for growing kittens or lactating females. Want to pair this with a complete balanced natural diet? See the entire Applaws cat food range. Learn more about natural food for cats. My cats love this product. What more can I say!